Beautifully presented in matching sustainable linen bags. Buy a set of two, four or eight. 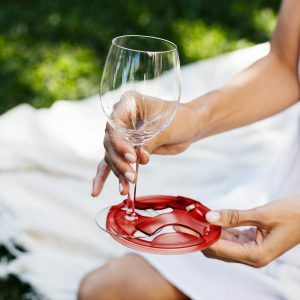 Slide on your wine glass, leave them on to drink and then put your glass down almost anywhere. 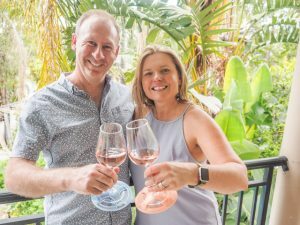 Fits most wine glasses | Sustainable Packaging | Reduces the need for plastic glasses | Reuse | Designed and Made in the Northern Beaches of Sydney, Australia. 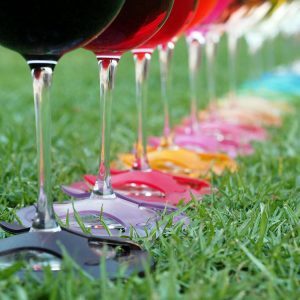 I just love the colours in this Aussie innovation designed to stabilise stemmed wine glasses of all shapes and sizes for outdoor drinking – great by the pool, on sand, gravel, or picnic rugs – as well as grass … I love them so much I featured them in my latest top 5 blog.